Time is just flying by and the fall fishing season is already upon us here in the Florida Keys. We may not have a pile of colorful leaves in the backyard, but we do have some fantastic backcountry fishing! 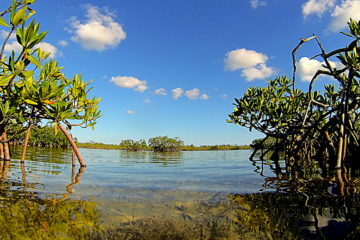 Fall is a transitional period where the water surrounding the Lower Keys and Key West start to fill up with wintertime species. The water temps on the flats and in the backcountry start to cool down and bring in a lot of fun fighting fish! Try saying that ten times fast. Tarpon fishing is still consistent throughout these next couple months. We typically are finding our juvenile “fun sized” fish (10-30lbs). These guys are a blast on light tackle! During the cooler days they will generally be a little more difficult to target with fly fishing gear but we don’t seem to have a problem grabbing a spinning rod and putting a couple of these suckers in the air! And if you really want to up your chances of hooking into the silver king during these cooler months, think about doing a nighttime tarpon trip. Fishing at night here in Key West can be a blast! Bonefishing in the fall is notorious for being very productive. This is the time if year when we start to see some of our bigger fish up on the flats and if this fall is anything like the rest of the year has been it should be a great time. You do NOT need to be an expert fly fisherman to target bonefish! We target them on both fly AND spinning gear. Permit fishing can be really good in the fall as well. We get some big fish that come up onto the shallows in search of crabs and other crustaceans. Keep in mind that these are one of the most challenging shallow water gamefish to target in the world so bring your A-game. 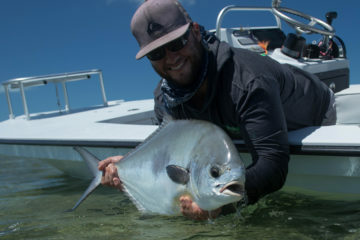 Patience and dedication to the hunt are essential to having a successful day of permit fishing. Big barracudas are showing up on the flats and eager to crush a top water plug being ripped past their face. With explosive strikes and hard drag screaming runs, the barracuda has quickly become a fan favorite to target on the flats during the cooler months. The infamous Jacks also start to show up. These fish are a absolute blast to catch and are arguably one of the hardest fighting fish in the ocean for their size. 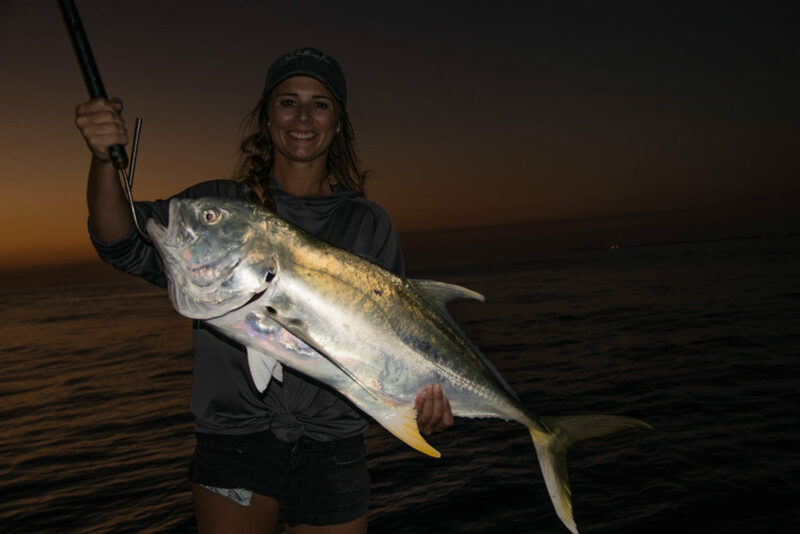 Our average jack can be anywhere from 3-8 lbs and their aggressive personality has given them quite a reputation in the Key West Backcountry. 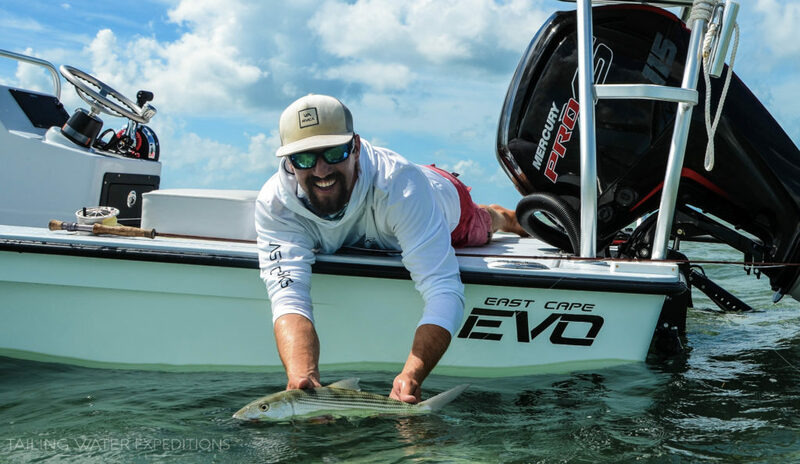 Along with the jacks, the backcountry starts to fill up with a bunch of snappers that are a staple in this Florida Keys fishery. Mangrove, Mutton, Yellowtail, and Lane snapper are just a couple of the species of snappers that live in the Keys. If you want to check out more about the different types of species that live here go to Florida Keys Fish Species to learn more! Fall shark fishing in Key West can also be very productive. The flats and backcountry are full of hungry sharks that are almost always willing to play ball. We usually find our lemon sharks up on the flats and try to either sight fish them cruising down a mangrove shoreline or chum them to the boat where we can watch them eat the bait. It’s very exciting! Feel free to reach out if you have any questions about booking a fishing trip or your visit to Key West. Picking the right fishing charter is essential to having a fun, safe and productive day out there on the water. Give us a call! Something to keep in mind! Spring dates (March – June) are starting to fill up. Most good fishing guides are booked out almost a year in advance for spring fishing and the tarpon run. If you are thinking about coming fishing in the spring think about booking a fishing charter as far in advance as you can.